Disruptive consumer innovations have to appeal to those buying or using them. But should public policy try and steer the disruption process? 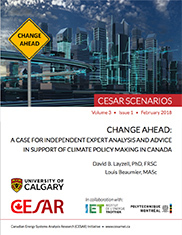 The CESAR project on low-carbon pathways for Canada argues that it should: “Looking forward to the next 30+ years of systems change, it is imperative to understand the implications of new technology, business model or social innovation, and consider the use of policy ‘levers’ that can encourage, ‘nudge’ or ‘direct’ these innovations in ways that will address societal goals, including but not limited to GHG management.” The SILCI project shares this basic philosophy, recognising that there is much policymakers can do to shape and influence innovation towards delivering social benefits – even if these innovations are competing for consumer attention in competitive markets.